Cruiser Safaris South African safari hunting client references. safari hunting client reference letters and photos. Click on the images below to view each clients reference information. "Cruiser Safaris under-promised and over-delivered. Top noch PHs, great food, plentiful mature animals, and great atmosphere." "Whether you are a first timer or have hunted Africa before, you will not find a better experience than with Cruiser Safaris. Simply the best, top to bottom." "I have hunted with probably 50 different outfitters and Cruiser Safaris is hands down the best I have ever hunted with." "Life time hunter, first time in Africa --- and without a doubt, my next African hunt will be with Cruiser Safaris." "Cruiser Safaris is so far ahead of their competitors"
"Cruiser Safaris was everything I could have imagined and more!" 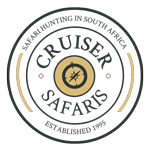 "I highly recommend Cruisers for your South Africa hunt." “Beyond my wildest expectations, is the only way to describe my Cruiser Safaris experience”. "The entire hunting experience with Cruiser was truly a hunt of a lifetime experience." "A trip of a lifetime!" Cruiser Safaris! Truly "Dream Makers". "Three trips to Cruiser Safaris, 25 trophies shot from 17 different species and we can't wait to visit our friends again". "All of the people at Cruiser’s...went out of their way to make sure that each and every hunter had the best of everything that could be provided." "Cruiser Safaris...Honest, Heartfelt dedication from beginning to end. "Cruiser Safari's operation is sure to impress you." "Would we go back? Yes!!! How soon!!!" "It's not if I return but rather when I return."